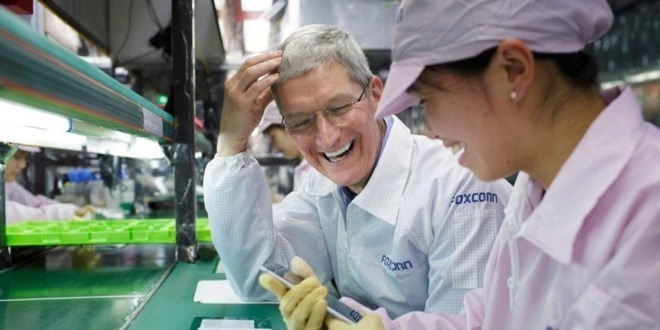 Head of the Vietnam Chamber of Commerce and Industry Vu Tien Loc is said to have raised the possibility with Prime Minister Nguyen Xuan Phuc of opening a Foxconn factory in Vietnam specifically for iPhone production, according to Reuters citing a Vietnam Investment Review report from Monday. Loc confirmed talks were underway, advising "We are discussing the possibility of this with Foxconn." The company itself advised it does not comment on matters "related to current or potential customers, or any of their products." In a note to investors seen by AppleInsider, Morgan Stanley's Katy Huberty suggested that a finishing plant, one with a single-step in the assembly or one intended for final packaging, would not skirt tariffs. "It is our interpretation that Apple would have to do more than just one stage of final assembly outside China for the origin of the good to shift away from China," wrote Huberty. "[This] would then likely require billions of dollars of investment from Apple and partners over a multi-year period, making this a more disruptive scenario." A number of Foxconn executives spoke to Reuters in the last week about where production could be moved through, if the company needed to mitigate the effects of the U.S.-China trade war. Vietnam and Thailand were seen as the preferred locations to set up operations, though a lack of skilled labor and inadequate infrastructure would be an issue in either case if such a move was made. The fresh examination of new bases of operation for Foxconn follow after an interview with President Donald Trump in late November, where he signaled an intention to move ahead with tariffs on $200 billion of goods imported from China, if discussions with Chinese President Xi Jinping failed to bear fruit. The administration has frozen another round of tariffs, pending further discussion and negotiation, that would apply to all remaining goods not already on the import list, bringing iPhones under the same levy. A levy of 10 percent could be applied to iPhones if it does proceed, which analysts suggest could raise the cost of an iPhone by between $60 and $160, if it is passed on to consumers instead of being taken out of Apple's profits on the sale. Shifting production to another country has the potential to avoid the tariff, but rules require the product to be substantially transformed for it to be counted as produced elsewhere, so shipping almost-completed goods from China to Vietnam for final finishing touches isn't enough of a change. Add that China is one of the few countries capable of offering a large and low-cost labor force in a single location, and moving production to a new country becomes a potentially expensive and futile endeavor.